Traditional brick and mortar retailers still have a future despite the boom in online retail, but they have to be open to change, says Vicus Bouwer, divisional director: retail leasing Africa, Broll, South Africa, who spoke at Seamless Southern Africa last week. “Online is an additional sales channel. Most people now browse for items on their devices, but still head in-store to purchase them,” Bouwer says. While the closure of Stuttafords, Mango and Nine West made headlines locally in the last few years, there have also been some notable entries into the African market by international brands like Decathlon, LC Waikiki, Leroy Merlin, Miniso, H&M and Kidzania. Then there’s the ‘clicks to bricks’ trend that sees formally online-only brands like Amazon and Fragrance.com open physical stores. At home in South Africa, Yuppiechef is a shining example of a successful transition into the physical retail space. 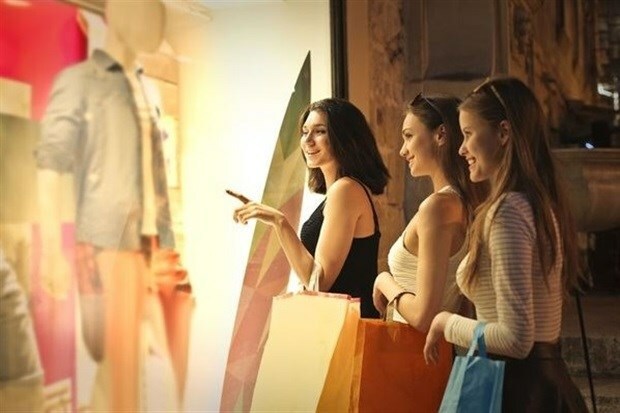 But digital technology and consumer preferences are evolving rapidly, says Bouwer, and brick and mortar retailers have largely struggled to keep pace. In South Africa alone, there’s currently 25million square metres of retail space, with additional development on the horizon, giving rise to criticism that we have an oversupply of shopping malls. Also a speaker at Seamless Southern Africa, Hyprop Investments' Kimaal Baker, the digital manager at Canal Walk, says that demands from consumers are what’s driving retail disruption; technology is simply the enabler. He states that business models need to adapt to Gen Z consumers as they’re the ones driving change going forward. Freedom - They want freedom and flexibility to move between products and services. They’re not fond of ‘brand handcuffs’ and have an aversion to long-term contracts with companies. ‘Weconomy’ - Growing up in a collaborative era, Gen Z consumers are comfortable with shared ownership or the ‘sharing economy’ – from workspaces to transport and accommodation. Instant gratification - They’re used to things happening instantaneously. This expectation extends to the likes of website load times, feedback from brands and e-commerce deliveries. Expectancy - Similarly, they have higher expectations. They also believe they have a strong voice and can influence others to effect change. This means added pressure for brands to “get it right”. Phydigital - The physical environment is expected to match the online environment. Customisation - Not just end consumers – Gen Z consumers want to be part of the production process. The enjoy products that are customised to their individual tastes and interests. Authenticity - They want to know the story behind the product and your brand, and will call you out if brand messaging isn’t authentic. Retail spaces need to change, Baker says. They need to become environments in which people genuinely enjoy spending their time. Less of a space to sell things, but an environment that builds community, and engages, educates and entertains the shopper. He references a quote by Checkland Kindleysides founder Jeff Kindleysides, which states that “retail is the last bastion of community.” In what’s been referred to a battle between online and offline, Baker says that brick and mortar wins when it comes to experience. That’s because as people, we value experiences that we can share with our friends and family. Physical retail needs to offer shoppers something that they can’t get online. People need to be attracted to the environment first, after which they can engage with retail stores as well, Baker explains. Echoing Baker’s sentiments above, Broll’s Bouwer states that if physical retail is to thrive, retailers must “push the boundaries of innovation” and focus on the customer experience. And catering to the digital-savvy modern shopper, he continues, means providing them with frictionless movement between channels. Some of the ways to link your physical store to your online presence include offering services like click and collect, and fast and simple delivery and returns. Bouwer also advises having alternative, mobile payments solutions in stores and to ensure the online store is linked with the in-store POS system for effective stock-tracking. Hyprop’s Baker draws on global examples of how the retail space as we know it is getting a facelift. 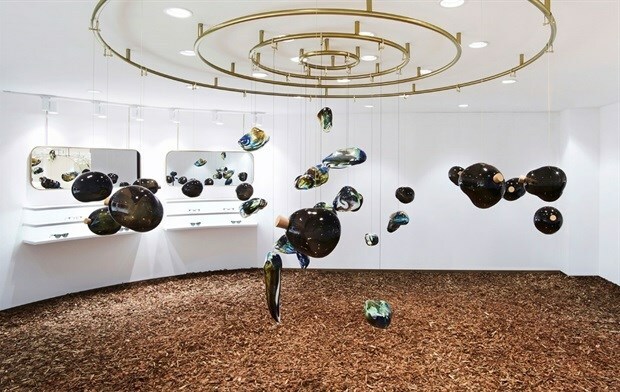 There’s Korean eyewear brand Gentle Monster, whose innovative store designs resemble more of a contemporary art gallery than a retail shop. The eyewear is displayed among themed sculptures and installations as though it is part of the artistic aesthetic. The installations often change, which gives customers a reason to come back. U.S. department store Macy’s bought into the pop-up-shop concept by launching The Market @ Macy’s. The programme allocates pods of space to a handful of brands and companies on Macy’s ground floor to promote or sell their products. Brands pay Macy’s a once-off fee and can stay as little as a month. Meanwhile, the new Hudson Yards development in New York City will soon boast an entire floor devoted to online retailers. The Floor of Discovery will include space “dedicated to digitally native brands, experiential shopping, and food and beverage concepts,” according to Chain Store Age. But to draw customers into your stores, and keep them returning is not a matter of ‘go big or go home’. “We can delight customers in small ways to build up customer loyalty over time,” Baker says.